Vendekin is disrupting the vending machine ecosystem. They’re introducing cashless payments, product upselling, operator efficiency, and brand engagement. 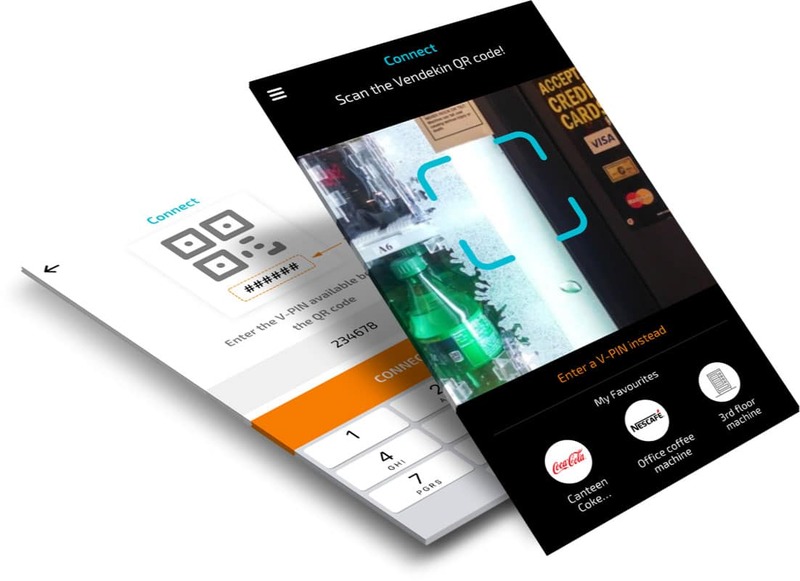 Ignite engaged with Vendekin to apply design thinking and craft a delightful user experience for the modern, consumer-facing vending app. 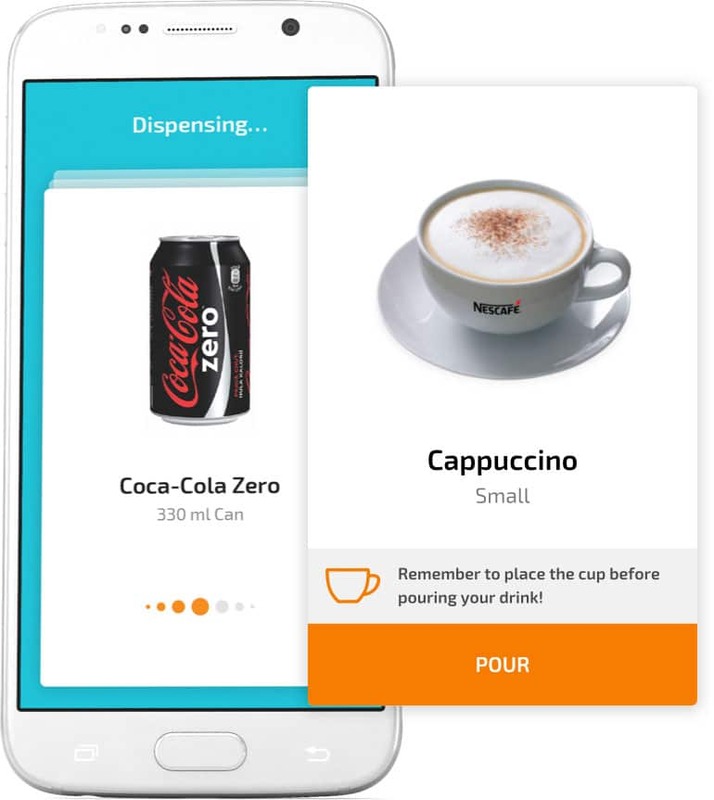 Our charter was to make the app fun, intuitive, and highly efficient thereby allowing people on-the-go to quickly and predictably complete their vending transactions. Our design focused on addressing three main areas of user confusion. Connect the app to a particular machine within seconds or sooner. Make the selection process clear and fun. Design around the confusion when dispensing beverages and multiple packaged goods. We set out to create an almost magical way to connect the app to a machine. The design makes it easy to instantly scan and connect to any machine. Furthermore, for frequently used machines, a one-touch access provides an instant connection. To work around difficulties in scanning QR codes, a fallback option allows for easy entering of a PIN. The design of the selection page provided a way to showcase branded products with large images. The selection is easy with just a simple plus (+) button. The major innovation is that selected items drop into a cart on the same screen resulting in instant confirmation and increased confidence in the selection. A major area of confusion is preparing for beverage dispensation and collecting dispensed items especially when multiple items are purchased. Dispensation failures need to be handled immediately. For this reason, we paid special attention to our UX in this area. We designed around anticipated user behavior pitfalls without causing annoyance. 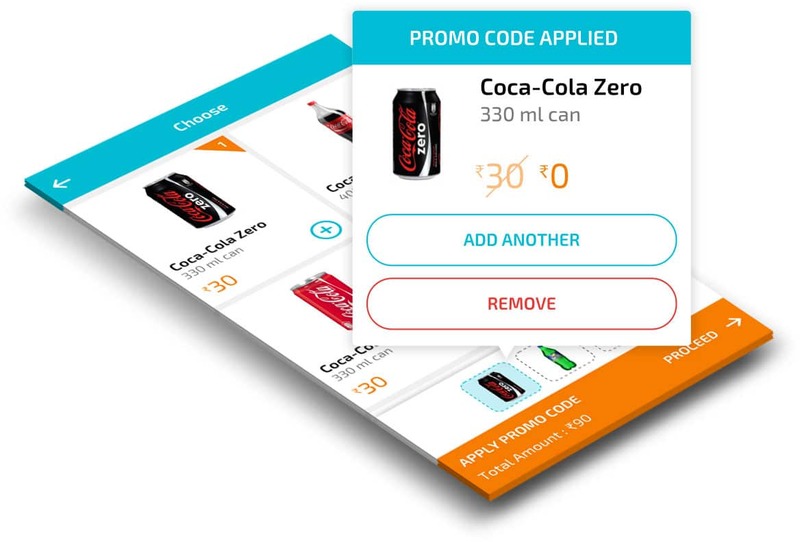 Multiple other improvements enable upsell of products, brand engagement and support point in time promotions.